go here Herbal medicine is one of the pillars of Traditional Chinese Medicine. It is one of the most sophisticated, versatile, and effective forms of herbal medicine practiced throughout the world. Not only are there many volumes of books on Chinese herbal medicine containing case studies from thousands of years ago to the present, but there are also modern scientific studies showing it’s efficacy in treating a wide scope of disorders. go to link Everyone has heard of certain herbs made famous by Chinese medicine such as licorice, ginger, and ginseng. However, there are around 365 herbs that are commonly used in formulas used for a wide range of disorders. In the United States, herbal medicine is considered an alternative practice. However, in China, it is practiced in many hospitals. When I was doing my post-graduate studies in a hospital in HangZhou, China, it was common practice for patients to be prescribed many bags of herbs to bring home and brew for themselves, twice a day. There would be a long line of patients trailing out the doctors rooms and when they finally saw the doctor, the patient would sit down, stick out there tongue, which the doctor would evaluate, and then have their pulse by their wrist diagnosed. The doctor would then tell his assistant the names and amounts of each herb, one by one, creating a formula for the patient. This formula was then sent down to the first floor of the hospital, the herb dispensary. This dispensary had over one thousand herbs. Each one categorized and stored in organized drawers, where they put together each patients formulas, weighed them, and packaged them. The patient would then come down to this floor, pay, and leave with a bag of herbs under their arm. This is common practice there. It is imbued in the culture. The reason for this is that it is a tradition that has lasted over 2000 years. It has evolved with time, knowledge, and experience. This experience and practice has been documented and researched in the clinic for millennia. 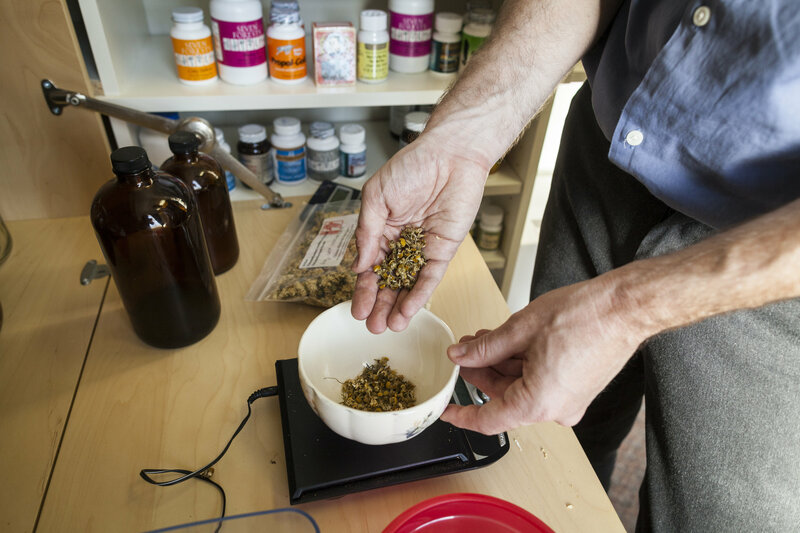 here Herbal medicine can come in many different forms. The most common type is the buy viagra in us decoction. This is when the batch of herbs is boiled for about 20 to 30 minutes in water. The remaining tea is usually very strong. Although, it takes time to boil the herbs, it is a simple process. http://smartmobilead.com/?search=us-discount-viagra-overnight-delivery Powders are also commonly used. 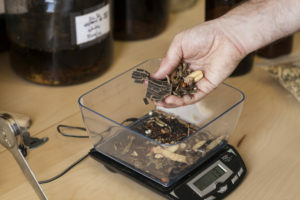 The herbs are ground down to a uniform powder and then can either be applied as an external medicine or they can be added to boiling water and made into a tea. fluconazole drug interactions alcohol viagra Pills are very convenient and easy for the patient to take. They are composed of the herbal formula ground into a powder and then bound with a material such as oil, wax, or honey. source Granules are perhaps the latest evolution in Chinese herbal medicine and most commonly used in Taiwan and the United States. This process consists of boiling the ingredients in water to make a decoction that is very thick. Then a stabilizer like starch is added and mixed. This results in a powder that can be rehydrated with hot water. 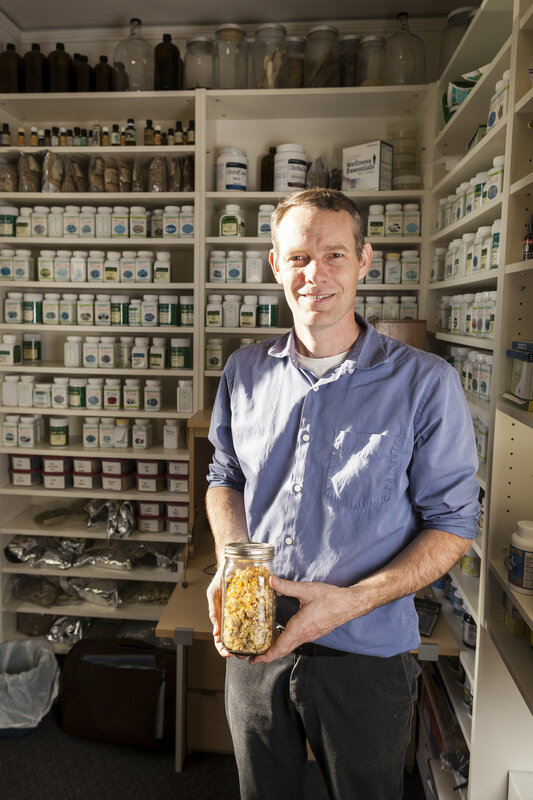 Granules make it very easy for the practitioner to store many different herbs in a small space, making it convenient to have very large pharmacy. It is also very practical for the patient because they can simply rehydrate a formula in hot water, rather than have to boil a formula for 20 to 30 minutes. http://sorteddetailslouisville.com/?x=prescription-drug-patent-expiration-viagra-commercial-actress When you visit a practitioner of traditional Chinese medicine, they will perform an examination, which consists heavily on pulse and tongue diagnosis. The radial pulse on both wrists yields information about the flow of Qi and Blood circulating through your body. The tongue is also a map of the internal terrain, showing where there is excess heat or dampness, blood deficiency, and many other internal factors. This directs the herbal medicine practitioner to the correct herbal formula. The goal is to rid the body of pathogenic factors, balance organ Qi and Blood, nourish deficiencies, expel excesses, and move stagnation. usa pharmacy canadian viagra Chinese herbal medicine can treat a wide variety of disorders ranging from digestive disorders, painful conditions, reproductive and gynecological conditions, respiratory conditions, endocrine/hormone imbalances, dermatological diseases, immune disorders, and even benefit ophthalmological conditions. 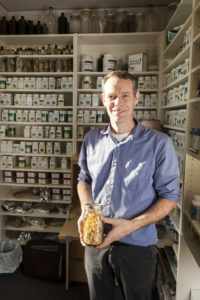 Contact David Russell, licensed acupuncturist and herbalist to find out if there is an herbal medicine appropriate for your condition. The history of traditional Chinese herbal medicine dates back thousands of years. The Ma Wang Tui tomb in Hunan was discovered in the early 1970s, in which were found silk manuscripts named Formulas for Fifty-two Ailments (Wu shi er bing fang) that date back to 300 BC. These herbal formulas are very primitive and related more to shamanic ritual. However, the art of herb combining to treat disease had begun to be documented. Another very old herbal text written between 402 to 221 BC, called the Classic of the Mountains and the Seas (Shan hai jing), contains the medicinal uses of over 120 substances. As in all traditional Chinese materia medicas, plant medicines are not the only substances discussed. “Herbal” medicine is somewhat of a misnomer, as it is common to also use various minerals and ani mal substances. The Classic of the Materia Medica (Shen nong ben can jing), was written somewhere between 100 BC to 100 AD. The author of this classic is ascribed to a mythical character known as the “Divine Husbandman.” It was common in those times to attach a mythical figure to the authorship of such a classic. This book contains 364 medicines: 252 plant medicines, 45 minerals, and 67 animal/insect substances. Each is categorized into either upper, middle, or lower grades. The upper grade are substances known to nourish life and be non-toxic. The middle grade, is to be used only with specific constitutional types. Error in prescribing middle grade herbs, can result in low level toxicity. Lower grade herbs are used to expel disease, and are to be used for shorter periods of time due to potential toxicity. Focuses on townifying the five yin Organs, calming the essence-spirit, settling the corporeal and ethereal souls, stopping alarm and palpitations, removing pathogenic qi, brightening the eyes, opening the Heart, and augmenting wisdom. If taken for a long period of time it will lighten the body and lengthen one’s years. In 100 to 200 AD, the Yellow Emperor’s Inner Classic (Huang di nei jing) was written, which contains the foundations and philosophy of traditional Chinese medicine. These foundations broke away from the shamanistic thought found prior to this book. Chapters on human anatomy, even to the detail of the specific weight of organs, can be found within this classic. It laid down a strong frame work which allowed future generations to develop a sophisticated medical system upon. In regards to herbal medicine, thirteen formulas were contained in this book and some basic herbal strategies were explained in regards to the medicinal actions of different tastes. Around 200 AD, one of the quintessential books on Chinese herbal medicine was written by a famous doctor named Zhang Zhongjing. The name of this classic is the Discussion of Cold-Induced Disorders and Miscellaneous Diseases (Shang Han Za Bing Lun). Fifty years after it was written, another famous doctor Wang Shu-He, divided the book into two parts. The first part is called Discussion of Cold-induced Disorders (Shang Han Lun) and the second part is called Essentials from the Golden Cabinet (Jin gui yao lue). The Discussion of Cold-induced Disorders primarily contained formulas dealing with externally-contracted diseases, which could be compared to viral, bacterial, and allergic diseases. While the Essentials from the Golden Cabinet dealt more with internally-generated diseases. This book has been extremely influential to every practitioner of traditional Chinese herbal medicine. In fact, many of the formulas found in this book are commonly prescribed today due to their efficacy. Between 281 to 341 AD, a famous physician, Ge Hong, wrote Emergency Formulas to Keep Up One’s Sleeve (Bei ji zhou hou fang), which I think is a great title for a book. This book contained herbal formulas with very common herbs that could be found easily and cheaply. A famous formula that every student of Chinese herbal medicine learns early on, is called Cong Chi Tang, or Scallion and Prepared Soybean decoction. This is used at the first sign of getting a common cold with symptoms like mild chills and fever, headache, and stuffy nose. The two ingredients are boiled and drank as a tea. Tao Honjing, during the time of 456 to 536 AD, increased the number of herbs found in the classic materia medica, entitled the Divine Farmer’s Materia Medica (Shen nong ben cao jing), from 365 medicinal substances to 730. This new updated version was renamed, Annotations to the Divine Farmer’s Materia Medica (Shen nong ben cao jing ji zhu). This book not only includes the medicinal action of each substance, but also where it grows, and when it should be harvested. Chao Yuangfang was an imperial physician and lived during the Sui Dynasty around 581 to 618 AD. He wrote the Treatise on the Causes and Symptoms of Disease (Zhu bing yuan hou lun). It is a large book containing 50 volumes and describing 1700 syndromes. The books topics include internal medicine, surgery, dermatology, gynecology, pediatrics, ENT, and ophthalmology. In the years of 581 to 682 AD, there emerged a renowned physician named Sun Si-Miao, who is famous for his two classics, Prescriptions Worth A Thousand Gold (Qian yin yao fang) and Supplement to the Prescriptions Worth A Thousand Gold (Qian jin yi fang). He was offered the position of imperial physician at least three times, however, he declined it to serve the common people in more rural settings. The Prescriptions Worth A Thousand Gold contained 5,300 herbal formulas and Supplement to the Prescriptions Worth A Thousand Gold contained 2,571. A lot could be written about this great physician. Throughout history in China, Sun Si-Miao, gained the status of being worshipped as the Medicine Buddha, or the “King of Medicine.” He collected formulas from many different physicians of varied ethnic groups and from other countries. Then he would improve upon these formulas and publish them. The Supplement to the Prescriptions Worth A Thousand Gold also contained a material medica with 800 medicinal substances. A compilation of medical texts and formulas was produced between 982 and 992 AD, called the Imperial Grace Formulary of the Tai Ping Era (Tai ping hui min he ji ju fang). An impressive 16,843 formulas were contained in this massive work. The period of time following this around the 1100’s AD, many different schools of thought developed. Liu Wansu, developed the School of Cooling, based on his observations that the nature of fire and heat was the main cause of disease. Before going on too far here, I’ll explain that in traditional Chinese medicine there is a metaphorical language used to describe symptoms in the body. For instance, fire and heat would manifest in the body as fever or red skin or inflammation or a fast pulse. Cold would show itself as white skin or a slow pulse or tight muscles. Wind expresses itself as tremors or shaking or itching or pathologies that travel from joint to joint without rhyme or reason. Dampness shows itself as swelling or edema or nausea. These influences can combine, like damp heat, which would be swelling and heat – similar to a red, hot, inflamed joint. It is all language to describe the landscape of the body and disease. Zhong Cong-Zheng (1150 to 1228 AD) began the School of Purging. His treatments dealt mostly with ways to rid the body of pernicious influences through sweating, vomiting, and bowel movements. Zhong believed that if the toxin was not expelled from the body, then the disease could not be cured. The Earth-Tonifying School was developed by the physician, Li Dongyuan, between 1180 to 1251 AD. The earth was the element associated with the digestive system. Li stated that if the bodies digestive system was not breaking down and assimilating food properly then disease would ensue. Many famous herbal formulas were created out of this school. The Yin-Enriching School was also developed in this time. It was founded by Zhu Zhenheng between 1281 and 1358 AD. This school was based on the philosophy that an excess of the body’s Yang (internal heat) caused a deficiency of the body’s Yin (nourishing fluid in the body). This resulted in a metaphorical fire producing disease. As one ages in life, the Yin naturally becomes depleted. This can be seen in older people who have drier skin, drier eyes, hot flashes, etc. Many yin nourishing formulas were created by this school that are still utilized today. The School of Epidemic Disease, also known as the School of Warm-Febrile Disease (Wen bing) was founded by the physician Wu Youxing between 1580 to 1660. He developed the theory that some disease transmitted by what he called li qi or pestilential factors. Wu stated that the disease was spread mostly through respiratory contact, but also could be through ingestion of food, and occasionally through skin contact. This school developed what is known as the four level system, by an early 18th century physician, Ye Tian-Shi. This categorized certain disease within the four level framework, and supplied appropriate formulas to treat specific conditions within the appropriate level. Many formulas today are utilized from this school. There are many more advancements and schools of thought that have developed the practice of Chinese herbal medicine. The past 50 years has been one of research. Currently, if one searches the US National Library of Medicine’s website pubmed.gov for “Chinese herbal medicine” there are 21,819 results. I will update my blog page regularly on the latest research that pertains to Chinese herbal medicine.